Website design for aviation business | This commercial flight services website for Lidar and Flir mapping was developed as a Word Press website. 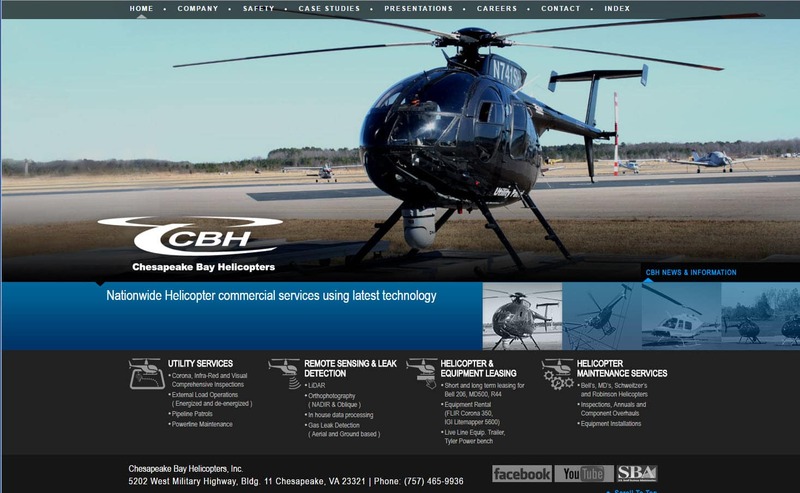 The home page features full screen imagery of the CBH helicopter fleet. This is the 3rd redesign for CBHelos since becoming a VISIONEFX client many years ago. We provide the finest in Web Design for Business and Web Design in Virginia to companies and small business. When searching Website design business Chesapeake VA look no further than the web design experts at VISIONEFX.